Terebra shells belong to the large family of sea snails. Terebra's are typically shaped like slender augers or screws; scientific name: Terebridae family Turritellidae. 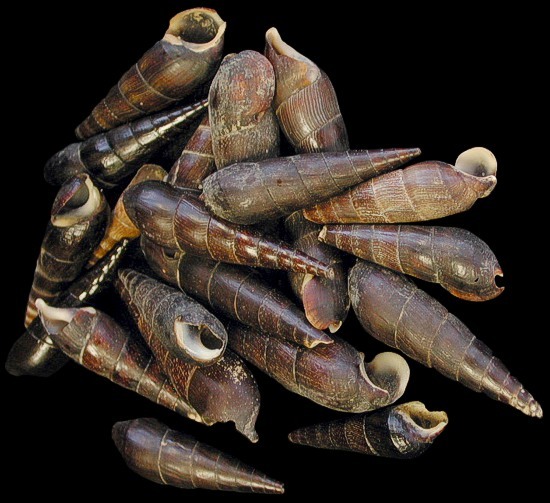 Terebridae shells tend to have characteristically flattened whorls, often having one or two plaits on the columella. Most of the tips have been blunted. 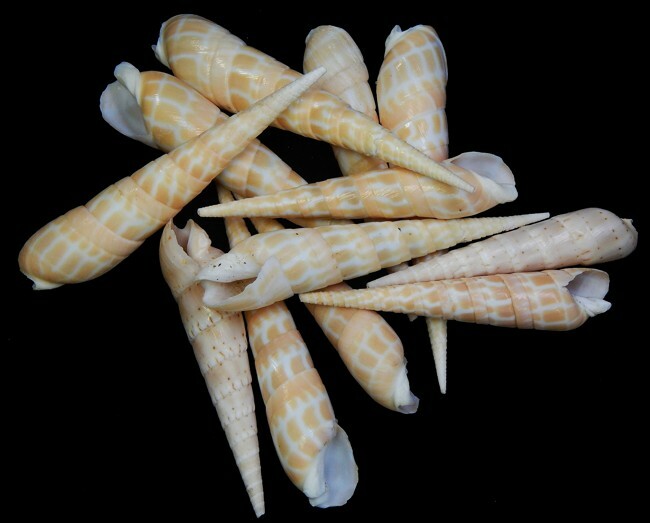 Terebra shells are sand-dwelling carnivores living in tropical seas. The shells have a venomous barb similar to that of the cone shells; which is used to stun and immobilize prey, typically consisting of various marine worms. 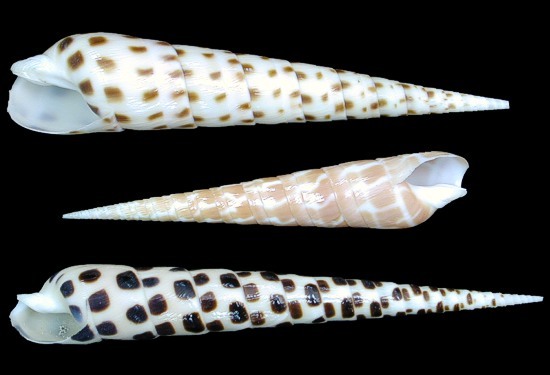 These are long slender glossy shells. Black Terebras are found across the Indo-Pacific region, living in intertidal zones. Most tips have been blunted.